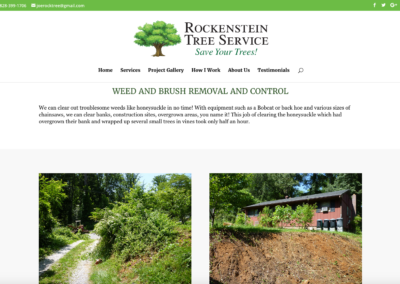 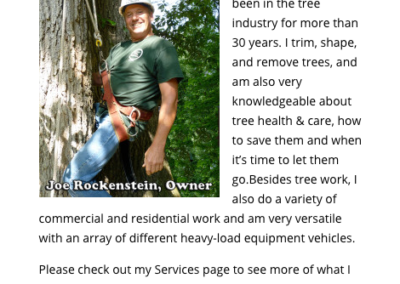 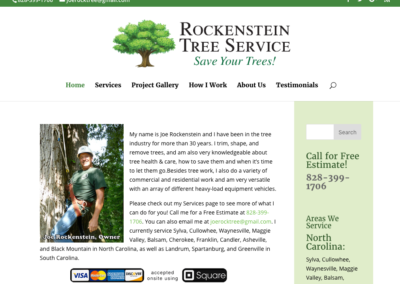 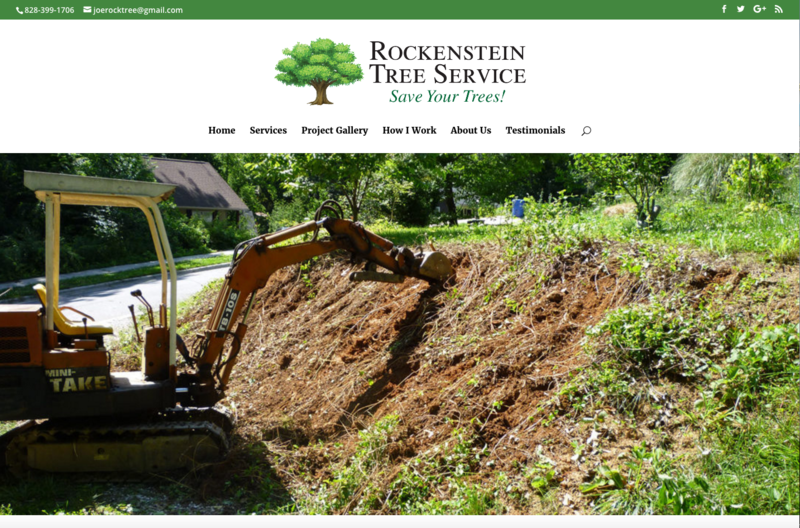 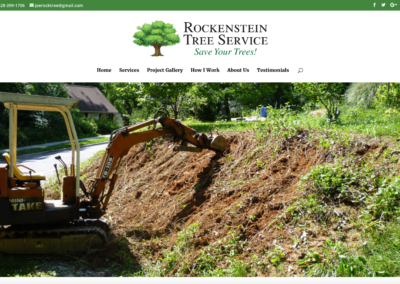 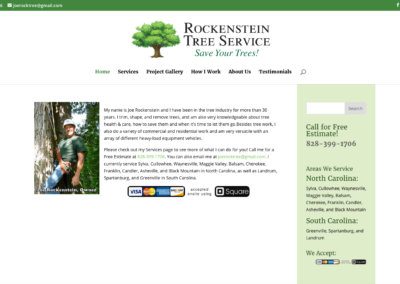 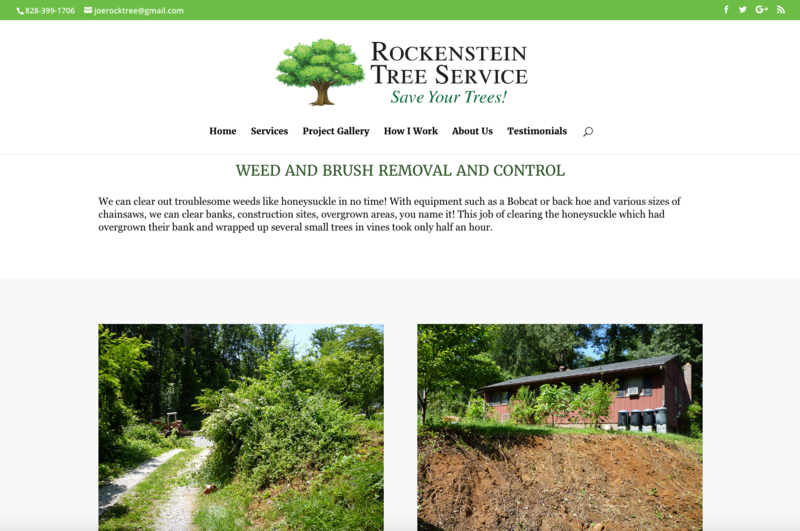 Joe Rockenstein relied mainly on his Yellow Pages ad for advertising, but thought it would be helpful to maintain an online presence as well, as he offers more than just tree work. 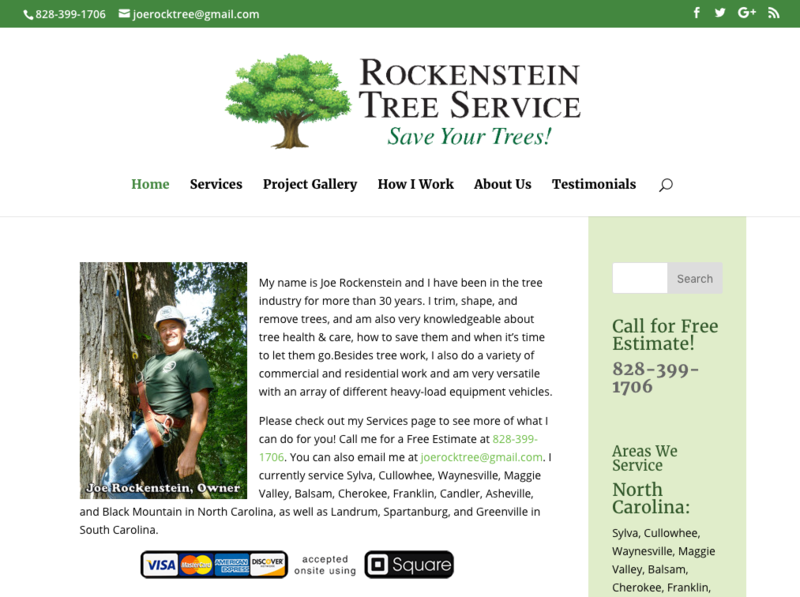 I first designed his site back in 2012, going on a CD of scanned photos of equipment and some hand-written notes by him as to copy, which I needed to organize, re-write somewhat (as well as write some copy for various pages and projects in the site), and squeeze whatever information I could out of him to create the site. 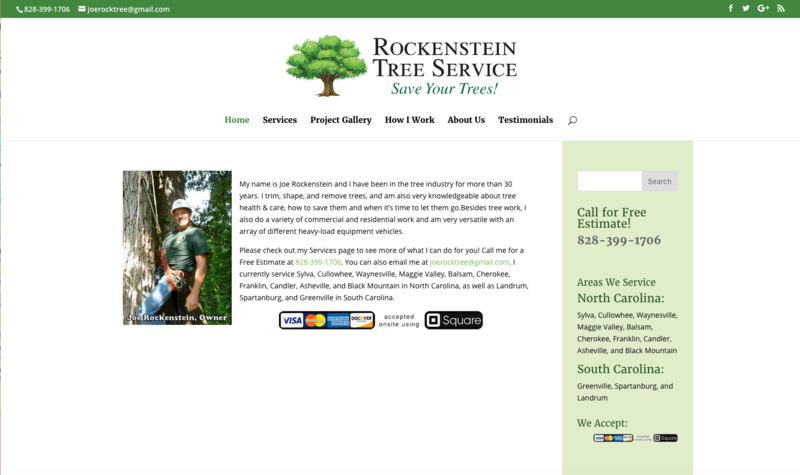 We did a photoshoot of him in a tree harness for the home page, and I was also able to document a couple of projects he did for us with photography, and organized a portfolio of projects using a custom post type in WordPress for this latest overhaul to his site.